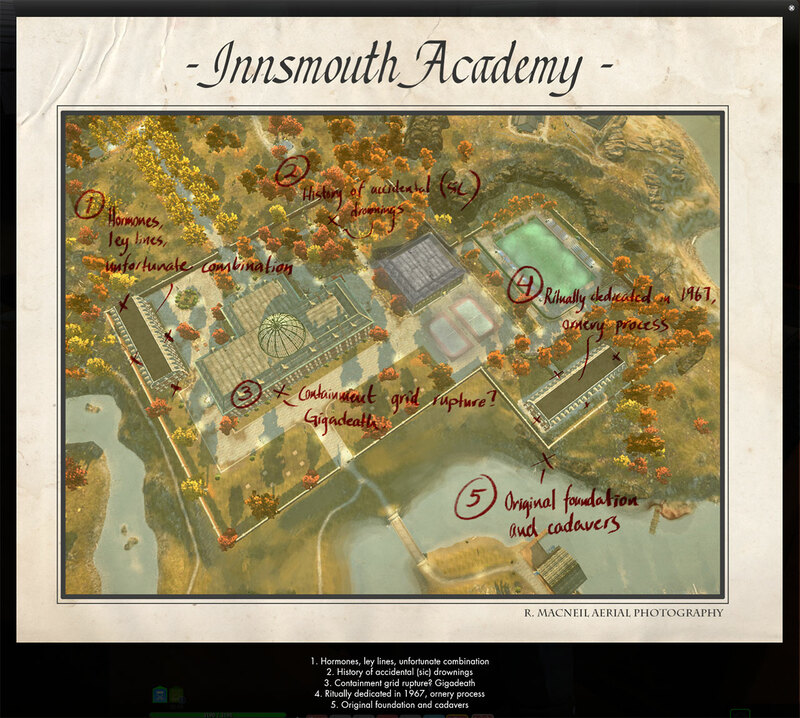 This mission starts with Hayden Montag at the Insmouth Academy. Head upstairs and click the image on the wall. You’ll need to defeat the Head Mistress first. Head outside to the position marked on the map, as you approach, the mission will update. Objective: Close anima leaks around the dorm. You’ll have to run around and close 3 of the glowing things on the walls killing things as you go. Arcane Cadavers will spawn as you approach each one. Objective: Go to the pond. As you approach the location marked on your map, you’ll get another update. Objective: Close the anima leak by the pond. You’ll need to kill the large golem in the center, but he’ll reveal the anima leak. Objective: Check the old block. Head to the location on your map. As you approach, your mission will update again. Objective: Close the anima leaks around the old block. Same as before, you’ll need to do this 3 times. Objective: Go to the main academy building. As you approach the position on your map, you’ll get another update. Objective: Close the anima leak at the main building. Objective: Go to the outer wall. As you approach, you’ll get attacked. Objective: Defeat the Academy Wraith and close the anima well.